Who Are the Best African Teams to Bet on at World Cup 2018? Pele’s famous prediction that an African nation would win the World Cup before the year 2000 did not come to pass. And almost two decades on from the turn of the century, the continent is still waiting for its first semi-finalists. Cameroon (1990), Senegal (2002) and Ghana (2010) have all made it through to the quarter-finals, but the last four remains uncharted territory – and it is difficult to see that changing in Russia this summer. With five African countries taking part, though, it is interesting to consider which of them will go furthest. Tunisia qualified for the tournament after going unbeaten in the final stage of the process, winning four and drawing two of their six encounters to finish a point ahead of DR Congo. They are a reactive team who look to keep things tight at the back before springing forward on the break, but the injury sustained by creator-in-chief Youssef Msakni is a huge blow for manager Nabil Maaloul. Rough Ride for Tunisia Ahead? The draw has not been kind, pairing the Eagles of Carthage with England, Belgium and Panama in the first round. It is therefore difficult to see them making it into the last 16, but consider betting on Tunisia collecting three points (3/1 with 888sport) from their three matches. However, the long odds (9/1 with Sportnation) on them being Africa’s best reflect the difficulty of the task awaiting them. Morocco’s qualification campaign was built on a sturdy backline, with zero goals conceded in their six games against Ivory Coast, Gabon and Mali. They also performed well at the 2017 Africa Cup of Nations despite only making the quarter-finals, playing modern, coherent soccer which included coordinated pressing and sharp passing. Like Tunisia, however, the draw has made life more difficult, with Spain and Portugal heavy favourites to advance from Group B. That is not to say Morocco are not capable of springing a surprise, and it could be worth backing them to amass two or three points (6/4 with Karamba). Yet while there is an argument that they are Africa’s strongest team right now, a tough draw means odds of 6/1 (Sportnation) on them going furthest should be avoided. Egypt pride themselves on their defensive strength, with conservative manager Hector Cuper keen to pack men behind the ball and deny opponents space in the final third. Mohamed Salah’s counter-attacking speed and precise finishing makes him fundamental to the Pharaohs, who will be desperately hoping the Liverpool star recovers from a shoulder injury in time for the opener against Uruguay. Hosts Russia were the team everyone wanted to draw from Pot 1, while Saudi Arabia are among the weakest sides in the entire tournament. Karamba’s odds of 8/5 on Cuper’s men progressing therefore look like excellent value, while Egypt are available at 11/4 (Sportnation) to go further than any other African nation. Nigeria may be third favourites to win Group D, but they will be quietly confident of their chances against a divided Croatia, unbalanced Argentina and inexperienced Iceland. There is a youthful vibrancy to the current Super Eagles side, who have recovered from the ignominious failure of missing out on the 2015 and 2017 Africa Cups of Nations under the guidance of Gernot Rohr. It is still touch and go whether the Nigerians will advance beyond the group phase, and much of it could depend on which version of Croatia turns up. Their midfield looks well-balanced and Victor Moses and Alex Iwobi offer dynamism out wide, but teenage goalkeeper Francis Uzoho has not yet looked overly convincing at international level. Despite that, it is certainly worth considering odds of 9/4 (Sportnation) on the Nigerians being Africa’s best team. Group H is the most intriguing section of the draw, with Senegal, Poland, Colombia and Japan all capable of finishing in the top two. The Lions of Teranga were the pre-tournament favourites to win the 2017 Africa Cup of Nations but only reached the quarter-finals, losing on penalties to eventual winners Cameroon. 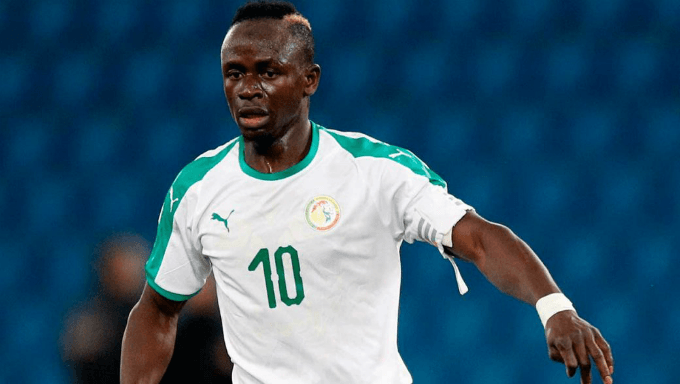 Aliou Cisse’s side bounced back to qualify for the World Cup with relative ease, and the presence in the squad of Sadio Mane, Idrissa Gueye and Kalidou Koulibaly ensures Senegal enter this competition with a strong spine. The slight question mark over the side is a potential lack of midfield creativity, but Senegal possess speed and invention on the flanks and are likely to be solid at the back. A price of 17/4 (888sport) on Cisse’s men topping Group G look tempting, while you can get 21/10 (Sportnation) on them going further than any other African side. Egypt, Nigeria and Senegal all have a good chance of qualifying for the knockout stage, with Egypt perhaps the most likely to do so. A last-16 meeting with Spain would probably await the Pharaohs, however, while a second-place finish in Group D would likely see Nigeria meet France in the second round. Senegal, meanwhile, would almost certainly be preparing for a clash with Belgium or England, either of whom would represent kinder opposition than Spain or France. With that in mind, Senegal look the best bet to be the last African team standing at the 2018 World Cup - an option worth considering at top soccer betting sites.